St. Patrick’s Day is just around the corner. It is a fun holiday with visions of sneaky Leprechauns, rainbows, and pots of gold. 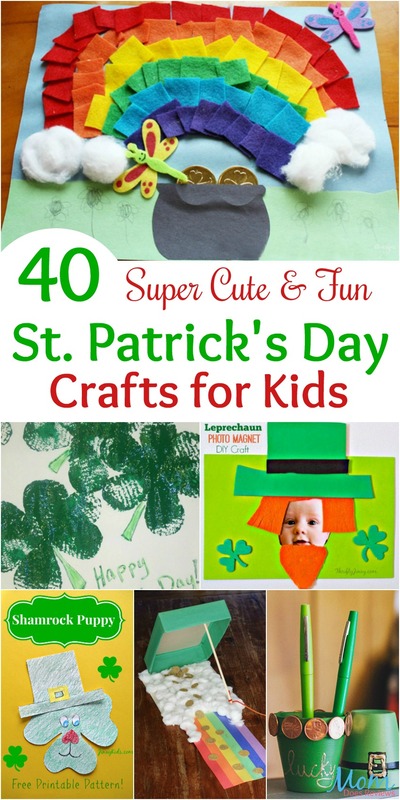 Let the kids’ excitement build with these 40 St. Patrick’s Day Crafts for Kids! Fun, easy for the little ones, and super cute – these crafts are sure to delight! We have several to browse through and a little something for all age groups – even little ones! Which crafts will be your favorites to try? And, if you are looking for more, we have another set of St. Patrick’s Day crafts that are equally as fun and you are sure to love! 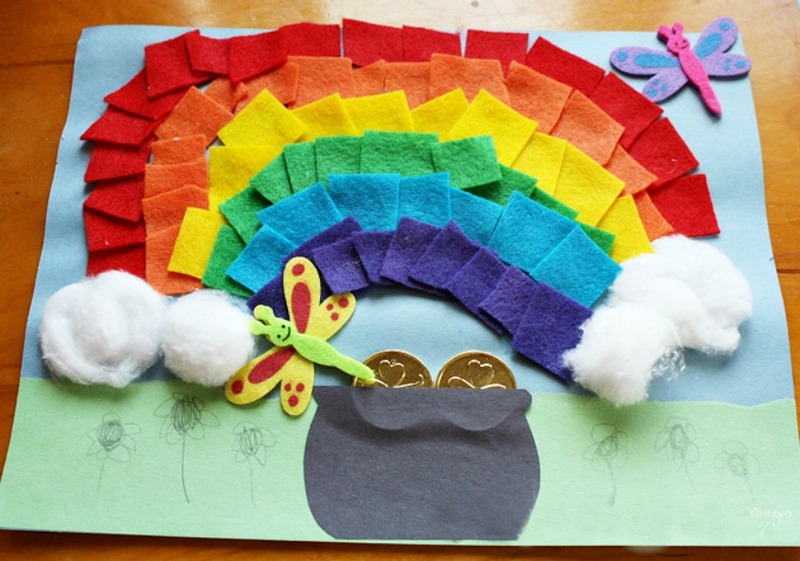 This Felt Rainbow with a Pot of Gold craft from Finding Zest is so very cute! We are still gushing over it!! And, not only is it cute, it is a great learning opportunity for the kids. It is a perfect craft for teaching young children their colors and building their hand strength with various cutting. Who doesn’t love a cute puppet?! Now, your little ones can make their own! 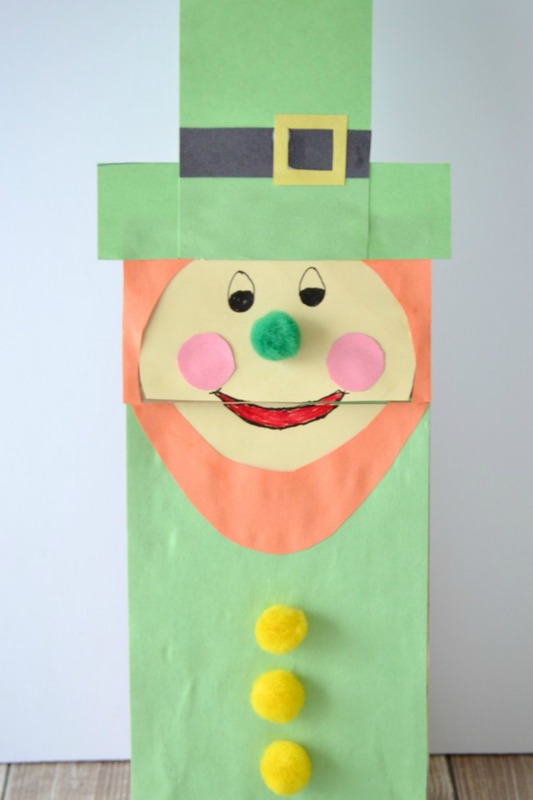 This leprechaun Paper Bag Puppet from Glue Sticks & Gumdrops is super easy to make and little ones adore it! Not only will they have fun making them, you can put on a fun little skit! The kids will have a great time planning on catching themselves a Leprechaun and finding their gold! Leprechauns are super sneaky so you will need a trap. 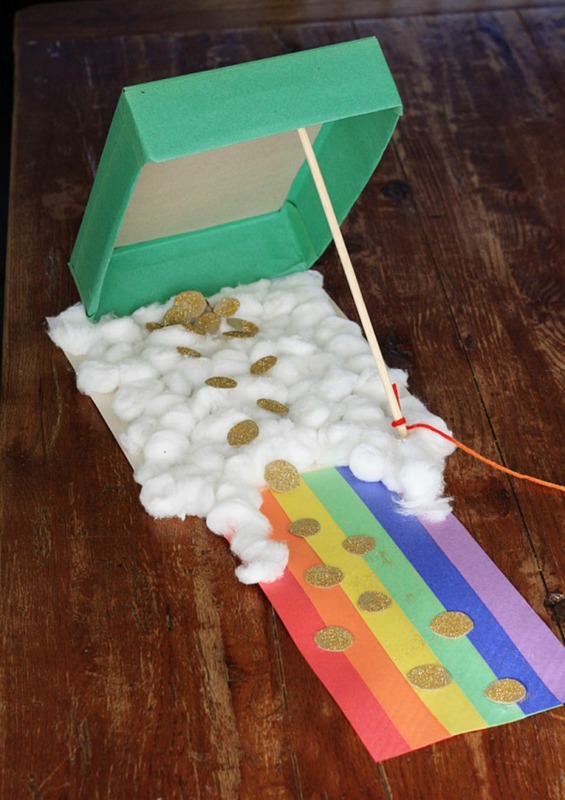 This fun Cereal Box Leprechaun Trap craft from Crafts by Amanda is easy and fun to make. Let the kids see if they are lucky enough to catch them one! When it comes to holiday crafts it seems our little ones get left out of the fun. Well, no more! This Shamrock Preschool Craft from Sippy Cup Mom is so easy and great for all ages – young and old! It doesn’t take a lot of time and with a little help from Mom, they can join in the crafting fun too! 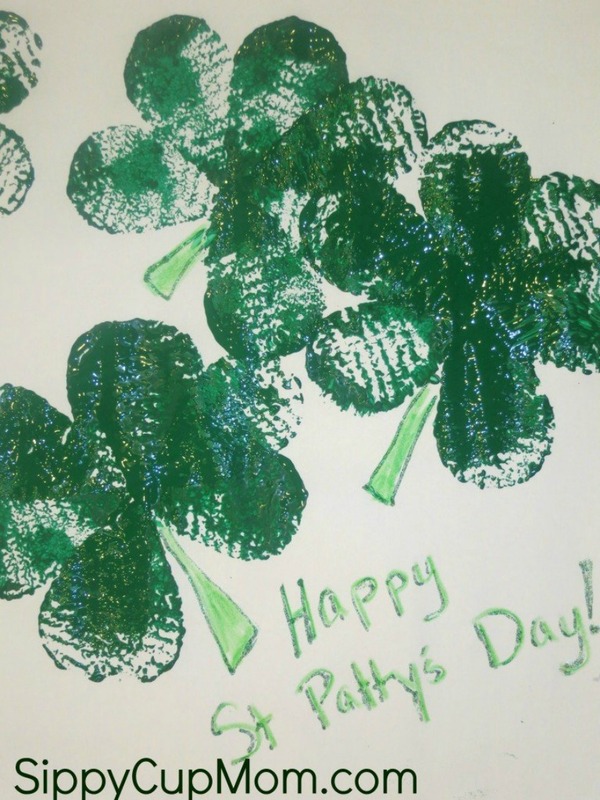 St. Patrick’s Day Crafts for Kids!